Eating my very first ripe brebas from my Violette De Bordeaux fig. It was delicious! I have mine in ground and in pots. 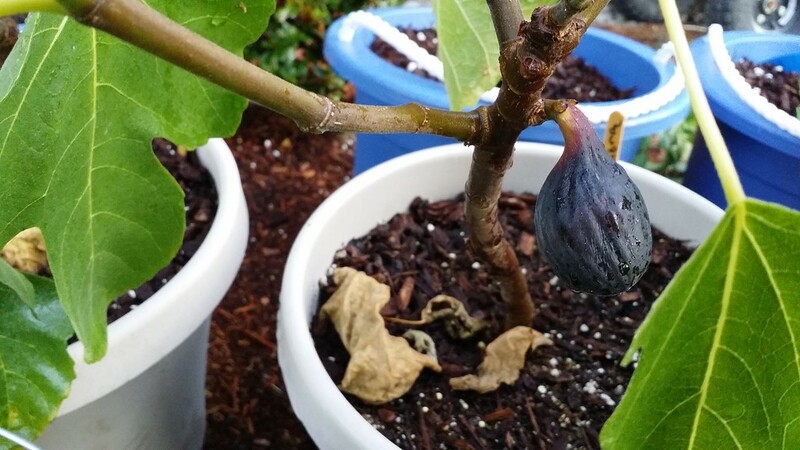 This is a great fig to grow in ground here in Seattle. I love the texture difference of the in ground tree. It's so much juicier. Hello,greeting from Malaysia. That figs looks unique with a nice interior. That goes straight into my wish list. I am still new with figs and right I am working on my technique to grow figs from cuttings. This might out of topic, but I want to ask you how do you transplant your rooted cuttings? Till now I have no success when it comes to transplant. The cuttings wilt within a day. What are you transplanting to? A bigger pot or ground? I transplant to bigger pot. I use potting mix from nursery,that contain sand,peatmoss,cocopeat. I not sure about the ratio though. hmm strange too much water or not enough possibly? Any ferts? I think there is to much water, the media look soaked, maybe lack of drainage. I put little bit of organic fertilisers.